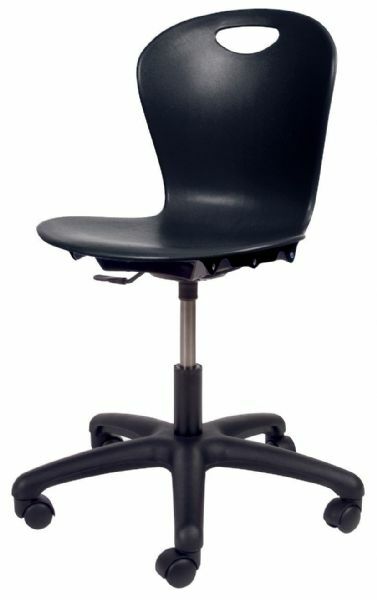 * Adjustable height chairs with a comfortable, sleek, and ergonomic design. * Features a 5-point base with dual-wheel, hooded casters and pneumatic height adjustment for quick, easy adjustments. * Features a compact seat ideal for elementary and intermediate students. * Seat height adjusts from 14" to 17".